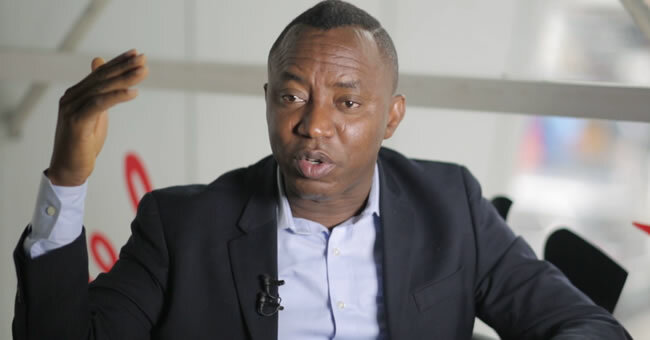 The candidate of the African Action Congress (AAC) in the forthcoming presidential election, Omoyele Sowore, on Friday said he is contented by the ‘endorsement’ of the Nigerian people. Mr Sowore was reacting to Friday’s endorsement of Kingsley Moghalu, candidate of the Young Progressive Party, YPP, by Nigeria’s Nobel Laureate, Wole Soyinka. Earlier on Friday, Mr Soyinka had endorsed Mr Moghalu’s candidature in his capacity as convener of the civic group, Citizen Forum. Earlier, Mr Sowore had said that the literary icon would not endorse him as presidential candidate, urging his supporters to respect the Nobel Laureate’s choice nevertheless. But a statement signed Friday by Malcom Fabiyi, Director General of the Sowore 2019 Campaign on behalf of the AAC candidate, said Mr Sowore is not threatened by the endorsement of rival candidates. “For the past year, Omoyele Sowore, leader of the Take it Back Movement and presidential candidate of the AAC has travelled across the 6 geopolitical zones, travelled to over 200 cities and towns within Nigeria, and engaged extensively with Nigerians at home and abroad to share his vision for birthing a vibrant and prosperous nation,” the statement said Friday evening. 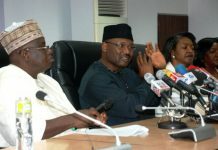 “Those consultations and engagements have created the broadest coalition of Nigerians that our nation has ever seen. “On our platform, those previously considered inconsequential – the voiceless, the teeming poor and the forgotten youth – have found a voice and an outlet for the realisation of a nation that works for all of her people. 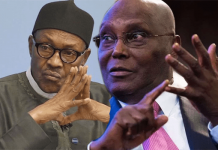 According to the party, from the fight to reverse the annulment of the June 12th 1993 elections, to the restoration of democracy in 1999, to the truncation of Obasanjo’s 3rd term bid, to the exposure of the Yar’Adua cabal’s bid to deny a constitutional transfer of power to a minority president, to the courageous real-time release of the 2015 poll results that helped to safeguard and ensure free and fair elections, Mr Sowore has been at the forefront of pivotal political events of in country. The statement reads in part: “No other candidate has had this level of engagement. No other candidate can speak of a thirty-year consistency in their service to the nation. No other candidate has worked for the Nigerian people as thoroughly and comprehensively as Sowore has done. The party affirmed that on February 16th, the African Action Congress will be on the ballot and that day, Mr Sowore and the AAC will get the only endorsement that matters when the Nigerian people vote to elect him as the next president of Nigeria. 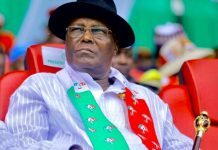 “On February 16th 2019, the Nigerian people will speak with one voice, and that onerous voice of reason will trounce the dictates of godfatherism,” the statement said.